Professor Lesley Barclay is an educational leader, health services researcher and systems reformer whose projects have improved maternal child health services in urban and remote Australia and internationally. Much of her recent research has been rural, remote or Indigenous focussed. Her current position is Professor and Director of the Centre for Rural Health in Lismore for Sydney University. Professor Barclay has been researcher on 16 Category 1 grants and led the majority of these. She is currently leading an NHMRC funded study investigating a Rural Birth Index. She chairs the National Rural Health Alliance; an organisation of 33 peak rural health bodies and is on the boards of the Local Health District and the Medicare Local. She is also known for her international leadership and projects internationally. For example leading WHO and AusAID work in maternal child health and a World Bank project in Indonesia designed to strengthen health worker education. Lesley Barclay is known for her mentoring and training. This is exemplified by 14 of the over 30 PhD students she has supervised over the last decade who have been appointed associate or full professors in midwifery or maternal child health. Professor Barclay has written or edited 2 books in the last decade and 65 published refereed papers in the last 5 years. 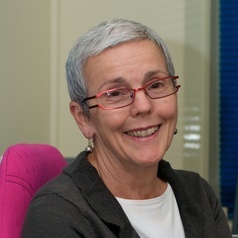 Lesley was awarded an AO in 2004 in recognition of her contribution to professional and international development and child health. She is one of the very few Distinguished Fellows of the Australian College of Midwives and one of the few foreign women designated a Samoan Chief; recognising 20 years of work with colleagues in that country.